6. 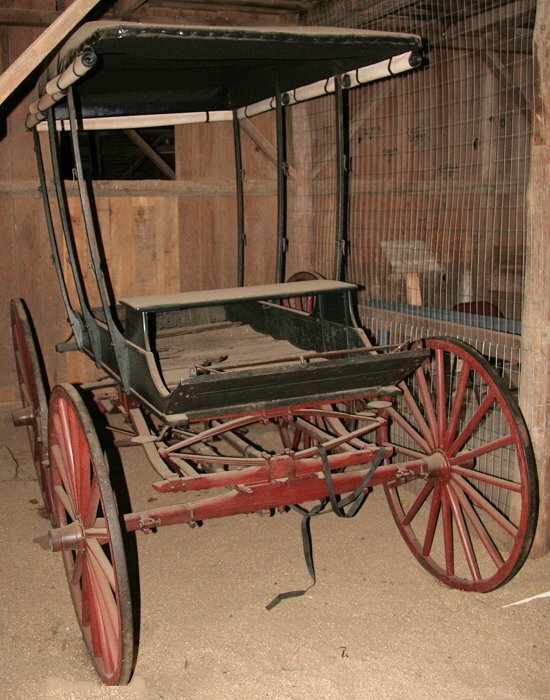 Delivery Wagon - 1890’s onward. Used to deliver supplies of many kinds to households and businesses. Note the short tailgate for loading and the iron step to ease access to driver’s seat. The “standing top” and the roll-down curtains protected the load, and to some extent the driver, from bad weather. Only shreds of the original top remain. They are kept separately as a record of the original material. The paint is original, but re-adhered and coated with removable transparent coatings -- part of the "conservation" process. 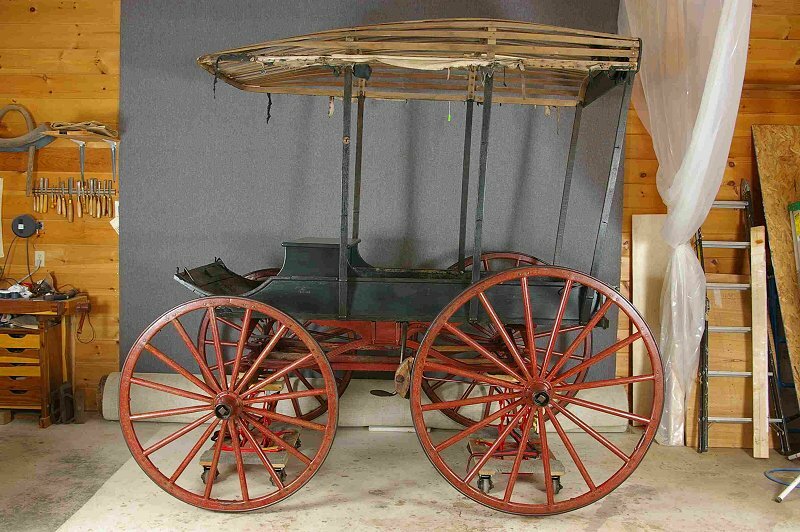 Historic paints were more transparent than today's formulations, and a carriage fresh from the factory usually had at least 13 coats of hand-rubbed varnish. This gave them a translucent appearance and deep, golden glow that is not easy to duplicate. The step is seen just to the right of the wheel rim. Slightly different angle gives complete view of front leaf spring. 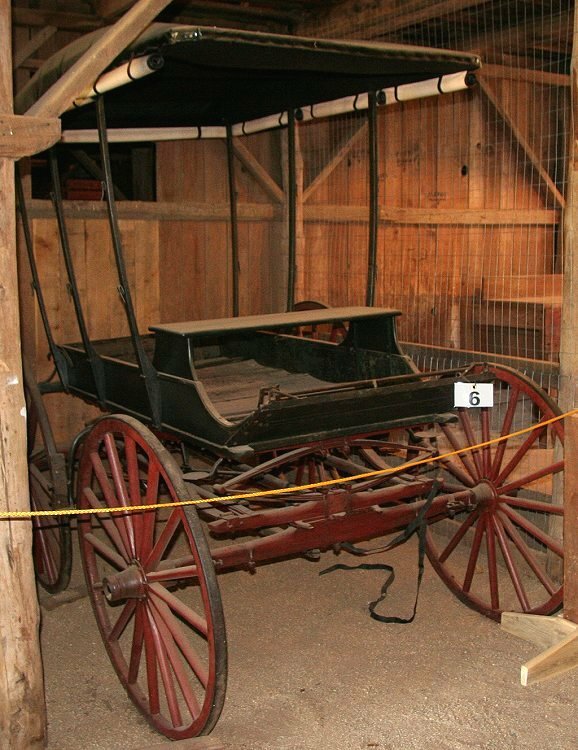 Wagon during conservation process before shipment to Bridgeport. 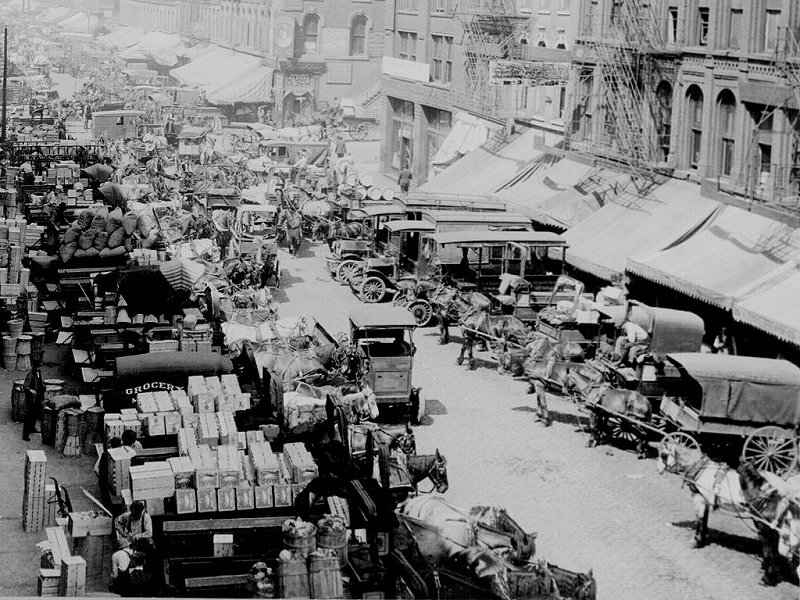 Delivery wagons in service in Chicago market.